There's nothing quite like that moment when you discover an author who you've never read before - and who turns out to be rather brilliant. 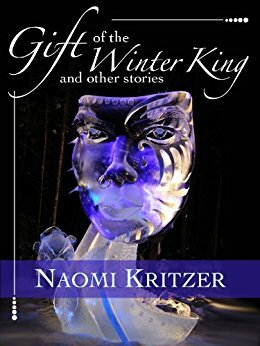 This was the first time I'd read anything by Naomi Kritzer - yes, yes, I'm late to the parade, I know, she did after all win the Hugo Award for best short story in 2016. Still, this was my first time reading her work. And it felt magical. There's a delightful clarity in her writing. It's not overly weighed down with flowery description or laboured in any way. She just tells the tale, with a light, masterly touch. The opening story is a great example - of a young woman who discovers the unusual ability to bring computers back from the dead. If I could borrow her for that dead laptop over there, I'd be happy to slip some money her way... but it's a fun tale, deftly handled and with a twist at the end that suddenly makes you sit up with an ooooh. A couple of the stories riff off her work in her novels Fires of the Faithful and Turning the Storm. I've not read those - so a little of the impact of the stories here was perhaps lost on me, though the story Magefire stands on its own merit while having the feel of a marvellous Easter egg for readers of the novels. There are a couple of pieces that didn't quite land with me - such as The Price and The Manual, but the latter particularly plays around with form in a way that might not have resonated with me but such experimentation is heartily to be encouraged. There were two standout stories for me. In The Witch's Garden is a story in a fractured world filled with people with fractured minds, whose memories and minds have been tinkered with. There are artificially enhanced animals, and the story itself is a twisted version of the Snow Queen fairy tale, wrapped up with slavery and sadness, despair and, ultimately, hope. It's a thought provoking piece, and haunting. As good as that is, it's surpassed by St Ailbe's Hall. Again, the artificially enhanced animals feature here - but more prominently, with an animal capable of walking and talking and having been rescued from its owners who used it for menial chores. The question at the heart of this story is what if that animal were to show up at church and ask to worship alongside the others in there who call themselves Christian. Faith is an issue that recurs in this collection - the title story also dwelling on the subject - but St Ailbe's Hall is a powerful tale told without preaching and exploring the issue of belief. It's worth the price of admission on its own. 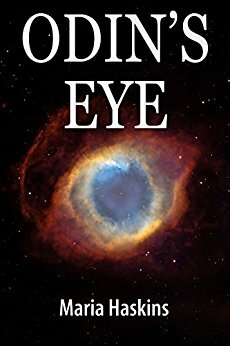 All told, the collection is a solid four stars - but if you are a fan of Kritzer's novels, the tie-in value for some of the stories will add an extra star for you. I can't pretend to be anything other than a fan of Maria Haskins. She has a way of slowing down the pace of a tale to let you think more carefully about its elements that I don't know how she manages in the space of a short story. 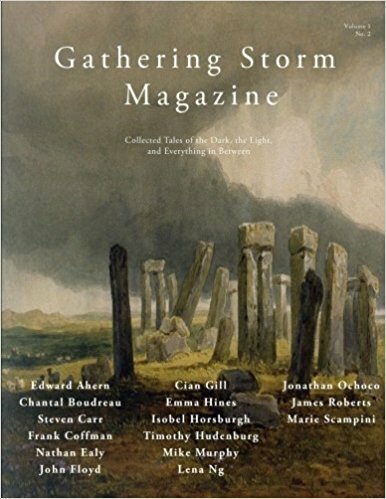 Now, fair warning, I have featured in a short story collection alongside Maria - her story Tunguska was next to my tale The Secret War in Tales From Alternate Earths - so putting that out there for full disclosure. But I've been fond of her writing for a while and the work here is no exception. The opening story, Mimir's Well, plunges us headlong into a world of AIs and loneliness with some wordplay that Brian Aldiss would be proud of, while the world of Live and Virtually Returning has the Messiah emerging from clone technology in a warped world that feels like it could be out of a Pink Floyd landscape. There's faint horror here too, in The Child, with a world of customised faces and the mental trauma of a mother grappling with issues of identity, or Lost and Found, with an expedition facing an inexplicable danger on an alien world. My favourite story of the collection is On Our Way, a subtle tale of maybe love, maybe aspiration for more than the grey of a ruined world. To try to sum it up is difficult, but it's a softly told, thoughtful tale, and plays on my mind after reading it. That description could sum up quite a lot of Maria's writing for me - she shifts one's world view and makes one consider broader horizons. Gathering Storm is a new player in the fiction market - and I really rather enjoyed their first issue. The production is elegant, the artwork beautiful, and there's a mix of material included. There's poetry, a link to some interactive fiction that spirits you out of the magazine to a website, and a selection of short stories. The emphasis on those is very much on the short. Heck, one item featured, Cream, is little more than a three-paragraph joke. Micro fiction, you might say. The length of such can make the whole seem rather insubstantial, and a couple of the stories come to a conclusion just when you want them to be getting going. That is, of course, one of the consequences of flash fiction at times - it's hard to pack a whole world and its accompanying story into a short word count. That said, a couple of the stories here really hit the mark, such as Chantal Boudreau's A Distaste For Dust, which features a housekeeper with the kind of dedication to her job that one ought to beware of. But I truly loved The Greatest Show on Earth - a pointed satire as clowns get to vote for who will be their leader under the Big Top. Lena Ng does a marvellous job of poking holes in democracy with a delicious closing couple of lines that I won't reveal to avoid spoiling. You really should read this story - it's a work of brilliance. Overall, for me, the collection left me wanting a bit more substance. It's quite short as a collection and considering the length of the pieces, it doesn't occupy your time for long. That said, as a magazine it's on the right track and I look forward to future issues.